Dispatched from and sold by ADMI Limited UK. Sent from and sold by ADMI Limited UK. It is a very nice case. I bought it for my micro game rig and I'm quite happy about the capability offered by the case. First of all the quality of construction. The case itself is well built and easy to access. Before buying it, I was not 100% sure about the soft touch front and upper pannel but now that I can touch it myself I am satisfied. It feels very smooth and looks great. The metal sheet are robust and well-painted. The important panels can be easily removed thanks to the thumb skrew, however for unmounting and installing most of the components(eg HDD/ssd, psu) you are going to use the screwdriver a lot. 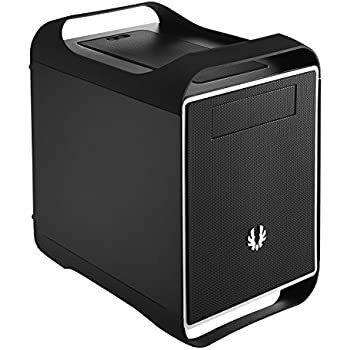 The case is quite versatile and can be used in different configuration based on your needs. 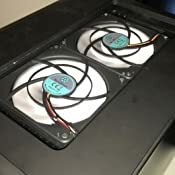 In my case for example I moved the 2 provided 120 fans on the top panel (underneath the dust filtered opening) and put a 230 fan by bitfenix on the bottom (sold separetly). I also removed the DVD hold structure to mount a long graphic card (280x toxic) that is roughly 30cm long! Not many small cases offer this. 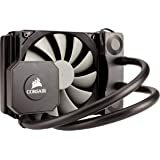 Moreover there is enough space for aftermarket gpucooler like the mk26, and the cooler will be exactly underneath the top opening. I also removed the HDD holder as you can fit two 2.5 HDD/ssd on the side panel and that was enough for me. 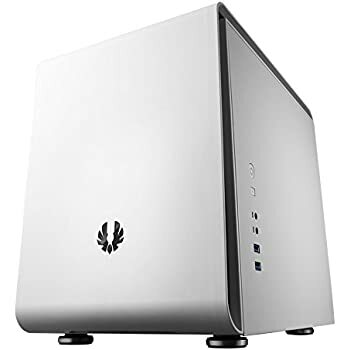 Another good aspect of this case is that among small microatx case is the only offering the capability to put a full tower CPU cooler like the noctua nhd14 (currently my configuration). However there are some negative aspects of this case that you may or may not take into account based on your ideal build. 1 the cable management. The case is tight hence doing a clean looking build is quite hard, there aren't many spaces where hiding cables a part behind the PSU and between the back sidepannel and the motherboard.therefore it is preferable a modular PSU with shirt cables. 2 the case doesnt offer a bay for DVD/bluray, that is a pity as the case itself can hold it but there is no opening in the front if the case. So if you were thinking to use bluray reader or a fan controller, it is not possible. 4 the side panel is connected to the motherboard (USB/audio/led/power button plus HDD if used) hence every time you open the case you have to pay attention. Also the cables to connect power button and usb3 are too long! Hence other issues for cable management. Please note however that the side panels are identical. 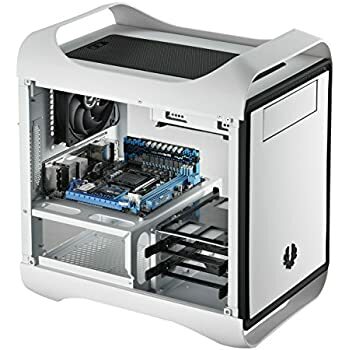 You can put the front panel in the back,this allow you to access the motherboard without disconnecting the components. Additionally note that if you swap the panels you can turn the R in the reset button. 4 beware long PSU pwith long GPU cards. The PSU and the GPU may fit together, however the cables may push the GPU. 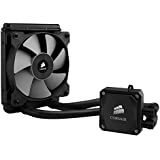 You can mount the PSU in the opposite direction to avoid this but this means the PSU is sucking no more cold air from outside but hot air from the case (just next to the CPU cooler). However overall I'm really really happy about the case. Taking care of all the cables and doing it clean took some time, but it is something you need to do only once. With other cases, maybe, it is easier to build a PC, however they don't look as good as this next to a TV or a screen. All in all a well made case. ~Well thought out, and seems good quality. i added two fans to the top of the case, and the temperatures and airflow inside the case all seem very good. I removed one star from my review only because the led light indicating the power is on is incredibly bright. So bright in fact that i have had to paint over it with white paint. 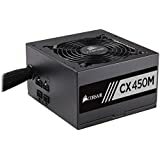 it is capable of lighting my bedroom at night, and if the pc goes into sleep mode, the resulting light strobe is liable to send those with more sensitive dispositions into an epileptic melt down. Also, the positioning of the usb ports has meant that one of the ports was broken by some ouf who dumped a load of paper work next to the computer without looking, and the result was that they snapped the innards of the usb. 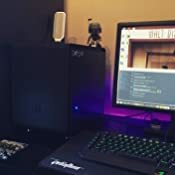 This was a problem in my case only because of where i have positioned my pc, and the lack of care of some of the people i surround myself with, so, depending on where you plan on keeping your pc, this might be worth bearing in mind. very happy with the case for the most part. 4.0 out of 5 starsYou might just like it. I like it. However I got it 'used' from AWhs for like £20 less. It isn't worth full asking. It's wider then you think and unless u run very tall coolers there is stupid wide clearance in the 250mm wide case. 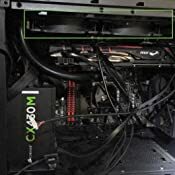 The side panel USB/ power switch thing is less than ideal but if you follow the side panel switch thing on YTube then it puts it all behind the motherboard on the left side, where it should be. 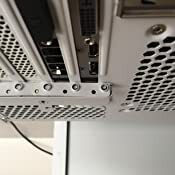 Another annoyance is the 'special feature' sliding PCI slot cover that is supposed to make it ' easier' to add PCI devices without using a separate screw. Trying to line up 5 slot covers so the special device that locks them into place just doesn't work well and the individual slot covers fall out of place. It's a nightmare! Another thing you may read about this case is poor cable management facility. It's not the best however there IS space behind the mobo tray for thinner cables and there is a while bunch space behind the power supply to hide cables. I guess it varies depending on the PSU and PCI devices you are trying to stuff in there. If you like modding there is a lot of material out there on YT and generally to give you ideas re lighting, windows etc. OK, it's not perfect but in 'white' ( more like cream) it's looks the DDs on my office units and I like it. 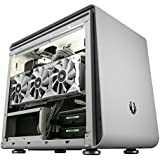 Will stand a lot of upgrades and has space to add more devices. 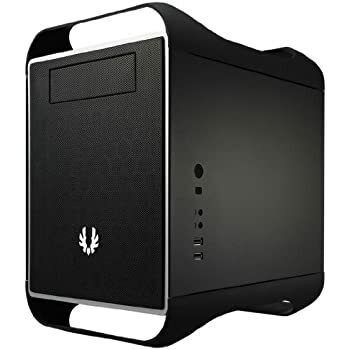 If you like this kinda form factor case and can get it at a good price I think you might just like it. The case looks great and you can fit a very powerful rig inside - but some really poor design choices. 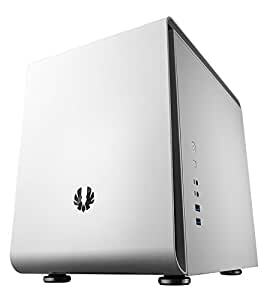 Firstly - the power supply idea is novel, but if you have a reasonably sized graphics card - or you want to use an integrated drive bay, then you can't fit your power supply! I have a fairly standard corsair modular PSU and in the end I had to drop it further and secure it with Cable ties. 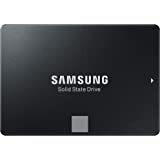 The integrated drive bay system again looks clever - but you struggle multi-style SATA power cables to SSDs due to the mounting system, then if you have either a sizeable heatsink or a water cooling system then your HDDs simply won't fit. The supplied screws are awful quality. One has jammed my motherboard in place with very little forced applied, so lets hope I don't want to swap it anytime soon otherwise I'll have to drill it out. It looks great, it really does. 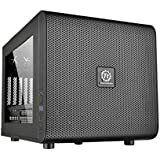 I cannot recommend this case - buy from Corsair or Fractal Design who won't cheap out on their screws.